Bologna – Chievo Verona / Serie A – The derby is the last duel of the 31st Serie A, with Chievo practically written off, and Bologna is fighting for survival. They had a home-made one beautiful series of three victories, but they lost in the last round and they were again in the relegation zone. 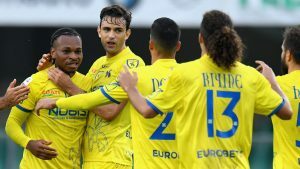 Chievo is convincingly the last, they have only one triumph and it is clear that they can not be saved by the end of the season. The first-in-season Duel of Bologna and Chievo ended with a 2: 2 result. In the series, they played well and badly in Bologna, so after three defeats, they won three victories, but that series was interrupted on Thursday. Of the three aforementioned defeats, they were expected to lose from Rome and Juventus, while at Udinese they hoped at least a rematch. There were three, though minimal victories, but also nine very valuable points. Especially dramatic was against Sassuolo, when jerezervista Destro struck 2: 1 deep in the referee’s time. They fought against Atalanta without a fight, receiving four goals in the first 15 minutes. Now there will be a whole series of changes in relation to that match. The theoretical chance that Chievo survives exists, but it’s so unrealistic that the option from the Verona team can really be easy to pack bags for Serie B. Even if they were given back three points, which Chievu was seized at the beginning of the season, the hope of survival does not It would have been revived, because the backlog is huge. The last two matches show that they surrender themselves, because they first lost to Cagliari on the home ground with 3: 0, and then in the last round and on a visit to Sassuolo with 4: 0. Coach Di Carlo will make several changes in the squad, given that some players have just failed in the last round. 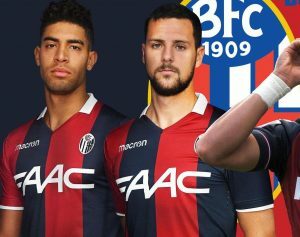 For Bologna this is a very important match and they can not even think of anything but victory, while Chievo is written off and quite demoralized, so we have nothing left to do but to predict a safe host triumph.